When you tell people where you’re going on holiday and they answer with “where exactly is that?” you know you’ve chosen the right place. The Cook Islands seem like the South Pacific’s best-kept secret; cast away in the far reaches of the world and with a population of only 18,000, it is the perfect escape for a romantic break or just to get away from it all. Still relatively untouched this cluster of cays and atolls are what paradise looks like in dreams, with lush tropical landscapes, tantalising turquoise waters and powder soft sand. Touch down on Rarotonga and you’ll find yourself ensconced in paradise for five nights at Rumours Luxury Villas. Your blissful bolthole backs onto your own private lagoon and beach. Settle into your beach utopia and relax in barefoot seclusion where home will feel like a million miles away. For the ultimate luxury treat, we can arrange for you to arrive at the property in your own private jet. 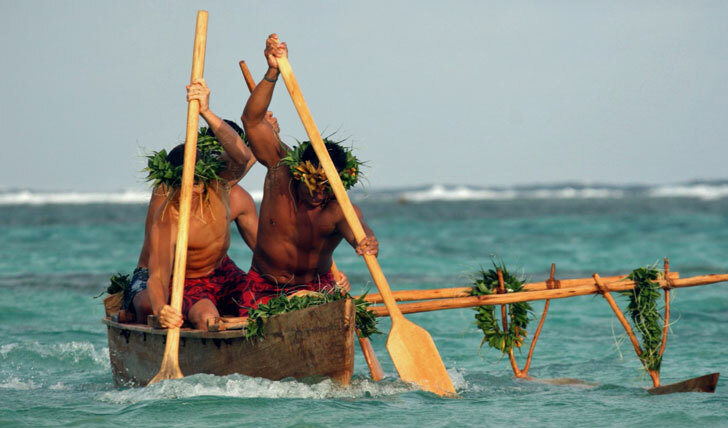 No Cook Islands experience would be complete without a traditional Umukai. During this colourful feast, you’ll be welcomed to the islands’ culture with traditional dance and songs, performed in authentic Cook Islands Maori costume. Then settle down to a hearty feast of roasted pork and fish, as well as the islands’ famous coconut pudding, known as haupia, all made in an Umu; a traditional earth oven. Spend a morning sunning yourself at Muri Beach with its shimmering white sand and stunning views, and snorkel off Rutaki Beach, finding seascapes of kaleidoscopic coral. For sunset head to Aro’a Beach and settle down in Jim’s Bar and, with cocktail in hand, watch the colours dance across the sky as the sun sinks into the South Pacific. For true local food, visit the many markets of Avarua, where you can try the ika mata – marinated raw fish – for the Cooks’ spin on sushi, then seal off those flavours with sweet home-baked coconut rolls. 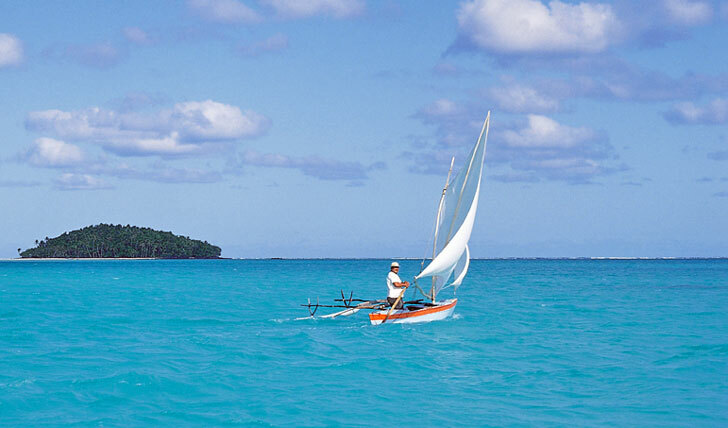 Set in a vast lagoon, Aitutaki is the blueprint of a deserted beach paradise. For five nights, hole up at the Pacific Resort and wake up looking out onto the twinkling blue waters of Aitutaki’s beach. It’s all about rustic luxury and open-plan comfort here. Explore the island’s villages, featuring old-style coral lime churches and, with a guide leading the way, take in some of the historic sites, including Te-Poaki-O-Rae (The Stone of Rae) and the large Are-O-Te-Mango (nothing to do with an actual mango – it translates to Temple of the Shark and is definitely worth a look). We’ll take you to One Foot Island – the queen of beautiful Polynesian paradise (and in our humble opinion, a serious contender for the most beautiful island in the world) – where we’ll lay out a picnic lunch in a scene of utter, unadulterated bliss. Bring your passport for a One Foot Island stamp – a collectors’ item to wow even the hardiest of intrepid travellers. Finish off your stay on the Cook Islands by doing what they were made for: Flopping on super soft sands, dining out on delicious seafood and letting the sun, sand and sea work their magic in bringing blissful relaxation to your bones.